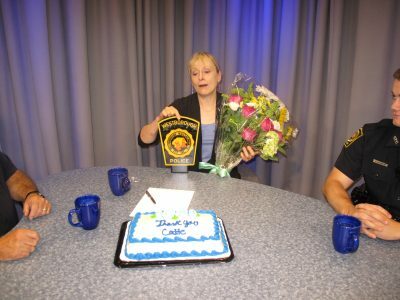 It was a night of goodbyes and thank you’s as Police Chief Alan Gordon and the crew of Westborough TV’s longest running show – Police Report – bid a fond farewell to co-host Catie Foertsch. Watch the full episode with their guest, new police officer Kevin O’Loughlin here. 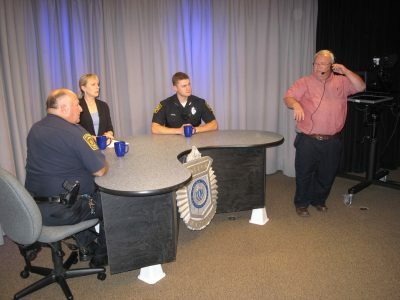 Their first show was shot back in 2002 and the Chief and Catie have been broadcasting Police Report Live almost monthly since then, helping keep Westborough informed about police department and local law enforcement issues. 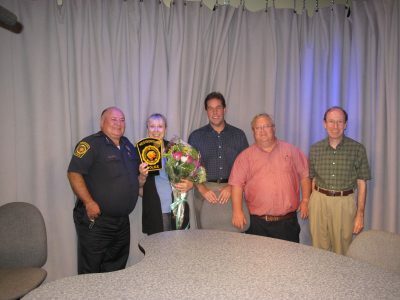 The show features lively conversation and expert guests on dozens of topics over the years including: current scams in our community, the measures town residents can take to protect themselves, the impact of drugs and underage drinking in our community, the interaction between our police and school departments, police department training, and more. The crew of Police Report consists of Director Brian McLaughlin, along with Camera Operators Bob Stamm, Al Sanborn and Ed Beauchemin. 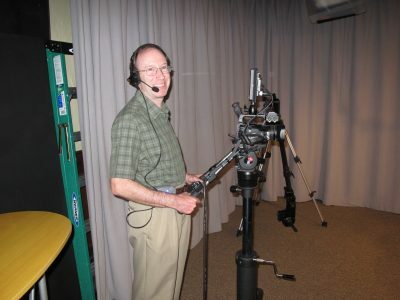 Catie Foertsch has been instrumental in the operations of Westborough TV for years. This includes helping the organization become a non-profit back in 2004, negotiating contracts with both Charter and Verizon, and serving for many years on our Board of Directors. She has served as co-host for Police Report since 2002, and her involvement in Cop Show is her last real tie to our organization. Catie and her husband, Eric, recently moved to Acton, so this was her final episode and final goodbye to Westborough TV. 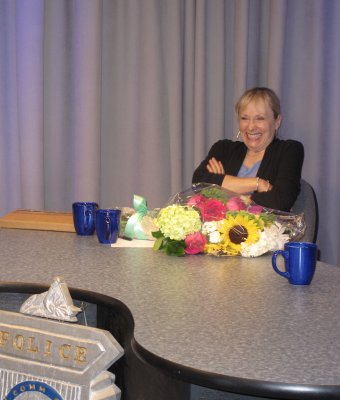 We thank her for all she has done for WTV and the people of Westborough. She certainly will be missed! Best of luck in the future, Catie. Be sure to come back and visit!